Bring Out the Best in Each Employee! Managers who adapt to individual differences lead more effectively. 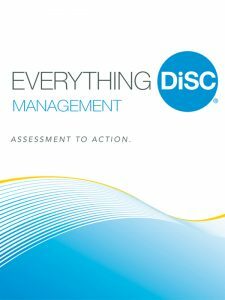 Everything DiSC Management helps leaders become aware of their strengths and challenges as a manager, and how to work more effectively in the areas of delegating and directing, and motivating and developing others. It is the most in-depth and easily customizable DiSC-based management-training solution available. Combining classroom training with online assessment and follow-up tools, you can create a personalized learning experience to help managers appreciate the unique differences that each employee brings to the job and how to adapt to bring out the best in everyone. Management Priorities: how you approach your role and what you see as most important. Motivators & Demotivators: what you enjoy about managing and what drains your energy. Time Management: how you manage your day and time. Decision-Making & Problem-Solving: a look at how you approach making decisions and solving problems. Directing & Delegating: analysis of your strengths and challenges when directing and delegating. Motivating Others: a look at the climate you create for others. Developing Others: an examination of your approach to teaching and mentoring others. Working with Your Manager: how your manager might see you and how you might need to adapt your style for more effective communications. and see firsthand the valuable insights and development that can take place. Six one-hour modules, fully scripted facilitation with engaging experiential and processing activities. Facilitator notes give you tips to maximize learning. Solutions to fit your needs. Create a customized program for every session. Switch out video clips. Modify the PowerPoint®, Leader’s Guide, and handouts. Add or delete sections to fit any timeframe. 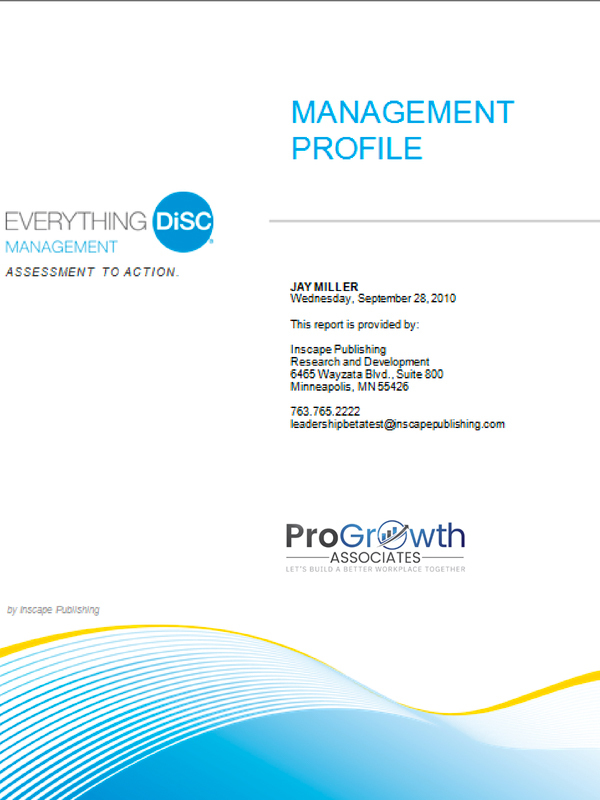 Modules 1 and 2: Introduction to Your Management Style: Participants discover how DiSC affects management style, including decision making and problem-solving. Participants will also learn to identify others’ DiSC styles using behavioral cues. Module 3: Directing and Delegating: Managers discover their strengths and challenges when directing and delegating, and how to adapt their behavior to manage people more effectively. Module 4: Creating a Motivating Environment: Participants discover how DiSC styles influence how people are motivated. Module 5: Developing Others: Managers learn how to provide resources, environments, and opportunities that support long-term professional growth, based on DiSC. Module 6: Working with Your Manager: Participants learn to influence and communicate effectively with their managers by meeting their DiSC needs and preferences. An at-a-glance view of an unlimited number of respondents and their individual Everything DiSC maps. Unlimited and free access with an EPIC assessment center account.